MEMPHIS, TN – October 10, 2012- Glankler Brown member David Blaylock has been named a Fellow of the Memphis Bar Foundation. Mr. Blaylock concentrates his practice in the areas of creditors’ rights, bankruptcy, and insolvency, secured creditor representation and general commercial law. 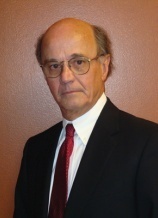 He has participated as a speaker in numerous seminars relating to bankruptcy and commercial law, and has been named one of The Best Lawyers in America (bankruptcy and creditor-debtor rights), Memphis Lawyer of the Year (Bankruptcy), “Best 101 Lawyers in Tennessee” (BusinessTN) and a Mid South SuperLawyer. Established in 1982, the Memphis Bar Foundation (formerly known as theMemphis& Shelby County Bar Foundation) is the philanthropic arm of the Memphis Bar Association. The Foundation is governed by a Board of Directors who serve a two-year term. Encourage and recognize professionalism among members of the Bar.